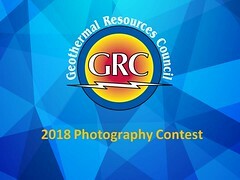 Lead Commissioner David Hochschild and California Energy Commission staff will seek input from stakeholders including developers of lithium recovery technologies, lithium marketers, geothermal facility operators, investors, local governments, and state and federal agencies involved in lithium recovery from geothermal brine. Demand for Development - discussion on the demand for lithium and the additional benefits development of lithium extraction can bring to the geothermal community, local municipalities, battery manufacturers, and the state. Barriers and Opportunities - discussion on the current state of lithium recovery and production in California, the barriers that need to be overcome to expand production, and the opportunities lithium recovery offers for stakeholders and government agencies. Policy and Funding Priorities - discussion of the needs and opportunities for policy and financial support of the entire lithium production process and what may be needed to mitigate risks for citizens, investors, developers and the state.